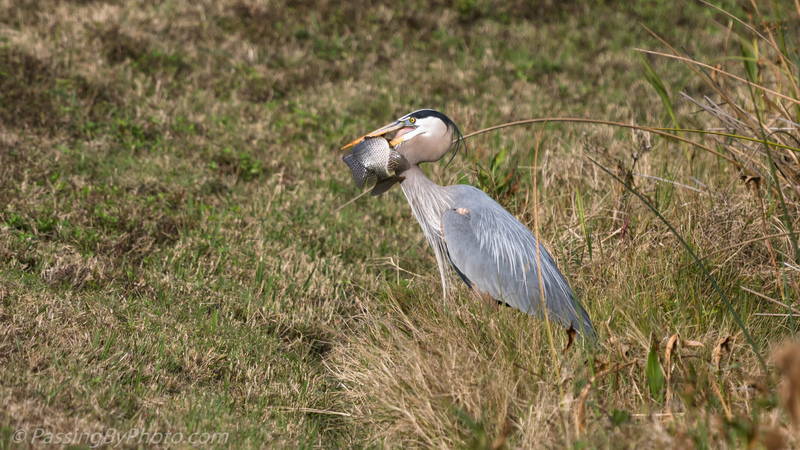 The Great Blue Heron seemed to be showing off his catch, although it seemed risking that another bird might want to take it. Back and forth he went while the fish continued to flop. 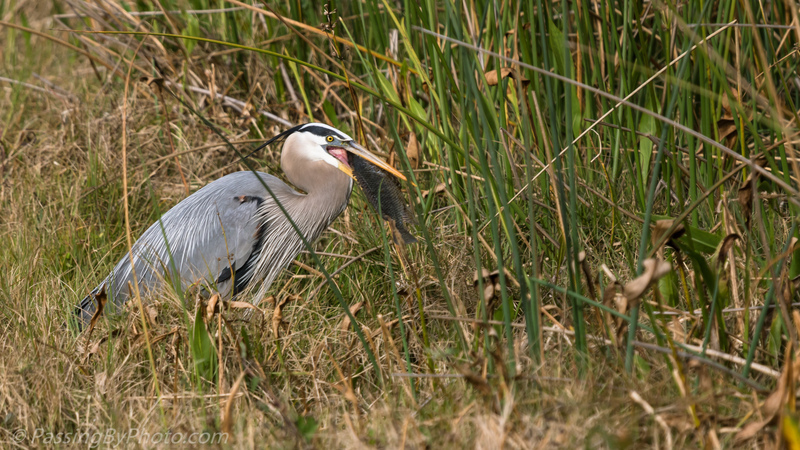 The heron eventually threw the fish on the ground. 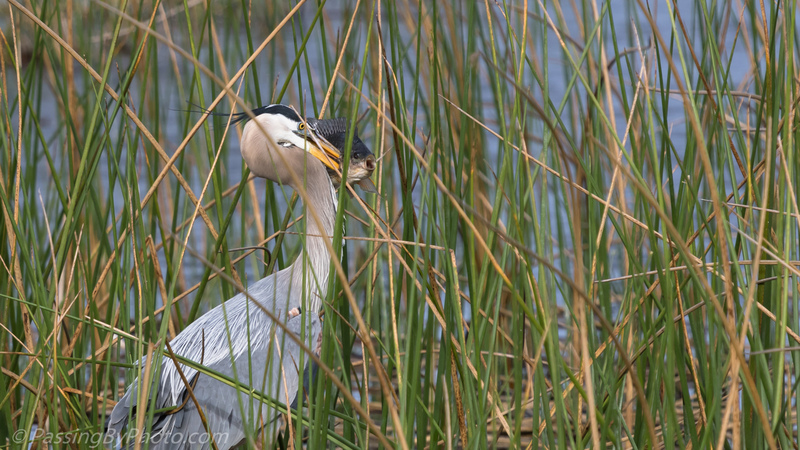 Picked it up in a different position and went back into the reeds where he consumed his meal. 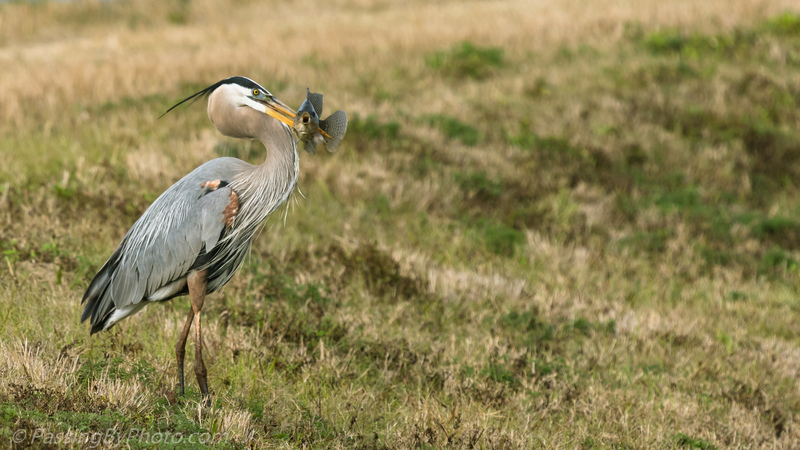 Wonderfully sharp photos!You have to wonder how herons manage to swallow such large fish. Thanks, Belinda! 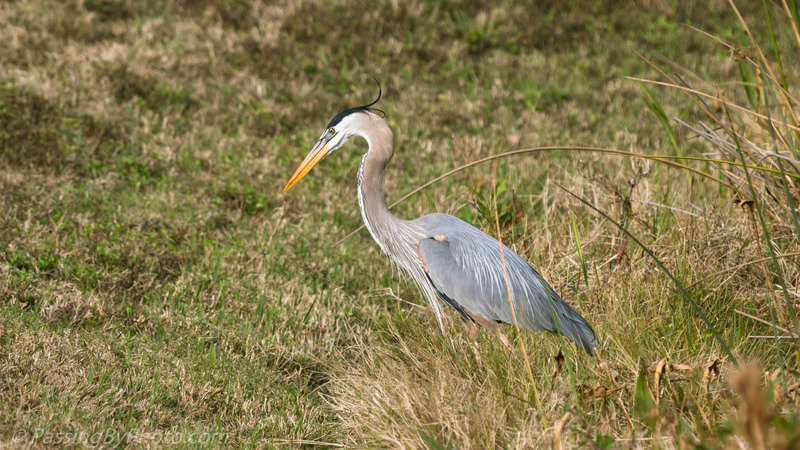 It just doesn’t seem possible when you look at their skinny necks! Thanks, Donna! I’ve often thought we would see them choke but somehow it always goes down.